Calista Ward Illustration: IF: dessert - fair food! western gals like is our fair food! Turkey legs, fried twinkies, chocolate covered bacon... this year's new flavor is a hamburger that substitutes doughnuts for the buns! Wow! 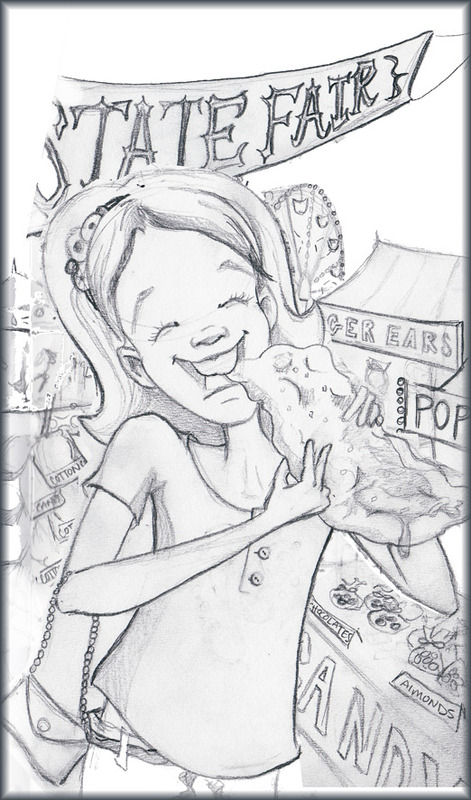 But the ultimate fair staple has got to be the "Tiger Ear"! They are known by other names of course, scones, elephant ears and I'm sure many more. My fav!!! I ran out of time this week, I'm half way through the painting, but I have all intentions of finishing this and making it a great illustration! The unveiling will have to be later.